The term praetorian derives from the residence of the commanding general, or praetor of a Roman army in the field. The praetorian guards were an elite recruitment of Roman citizen/soldiers. Generals from Julius to Augustus to Marcus Antonius chose a private force of soldiers to act as guards of their tent or person, usually consisting of both infantry and cavalry. 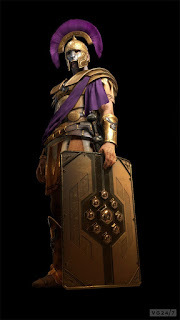 Over time, this cohort came to be known as the cohors praetor. By 118 AD, the hand-picked praetorians play a pivotal role in military and civilian politics. They were called upon to put down mutinous legions in Germany at the request of Tiberius, and they are garrisoned in towns around Rome as well as being the only serving military presence in the capitol. They receive substantially higher pay than legionnaires. Whereas a legionnaire receives 250 denarii per year, by 118 AD, a praetorian of similar rank receives 1,500 denarii per year, distributed in January, May and September. They are the teeth and the claws of the emperor and own his trust. In matters of inquiry, they carry his seal and his authority which, by this time in history, matches that of the Sentate in some respects. Caesar Trajan all but ignored the Senate during his term as emperor. All expect that Hadrian will continue that policy, relying on his praetorians to execute his will and see to his personal interests and that of the empire. For this reason, the arrival of ranking praetorians searching for the nephew of the Emperor, Publius Aelius Hadrianus Augustus, is not a welcome sight to the governor. It gets worse for the governor. Under most polite circumstances, the delegation on the galley would wait for the governor's representatives, or for the great man himself, to disembark. The praetorians don't do that. They are rowed to shore and immediately begin speaking with common people on the docks. Marcus knows that gossip of the scandal involving his wife and her lover has spread to the very lowest quarters of the city. The story grows with each telling. Praetorian Tribune Gracus Aemilus Pallus and his deputy, Antonius Valerius Corvus accepted the governor’s offer of a private dinner. Other guests included three grain merchants and their wives, and a crafty-looking centurion named Gnaeus, commanding the governor’s four cohorts of auxiliary soldiers. The fare of fish, lamb and partridge laid out before the governor’s guests was lavish by any standard and the food had been prepared with flawless attention to detail. Gracus and Antonius sat to one side of the governor with the garrison centurion, an average looking man named Agrippa. Gracus laid he senatorial seal on the table in front of him. It set forth the precedence of who was in charge, and that the governor now took orders from him. Marcus Marius Longinus made introductions and led a discussion of small talk, which Gracus interrupted rudely by standing, taking the governor’s cup of wine and draining it before he threw it to a smiling Antonius. "Congratulations, my friend, you are the acting governor until Marcus and I return with young Quintus." "You can’t do that!" Marcus protested. "You have two choices – actually three," Gracus explained calmly. "Dear Marcus, you can lead the expedition to find and return the Emperor Hadrian’s nephew, or we can have your back flayed and beat you from Roman territory where no one will offer you food, water or shelter. Exile is not a small thing." "You said there was another option," the Centurion Agrippa asked, pale as a ghost. "I will crucify your governor next to the gates of the city." Marcus’ bowls erupted and he ran from the table to clean himself. Gracus looked at his fellow diners. "I hope that didn’t ruin your appetites, eat, please and honor acting governor Antonius Valerius Corvus, our new host." "I will have Marcus blinded, his tongue will be cut from his head and his back will be broken above his hips so that he will have to crawl until in due time, he expires. I may take him back to Rome with me as a gift to Hadrian, who will naturally want an example made of the man who dared to send his nephew beyond the ends of the world. It may have been bad manners for Quintus to plow another man's field, but he plowed it well, did he not, Agrippa?" "By all accounts he did." "And he sewed Caesar's seed, so where is the crime in that?" Gracus tapped the royal seal of the Senate and People of Rome. "I ask you, would you not give your wife and your life to Caesar?" He directed the question to the grain merchants, who all agreed that giving their wives to Caesar, should the occasion warrant, would be a small thing. The wives glared malevolently at Gracus, but said nothing. "Look at the women with their cobra's eyes, beady and wicked," Gracus commented to Antonius. "They are all in need of some plowing, I think." The river mouth beckoned to Mattia like poisoned wine flowing from a tipped chalice and she told the captain that the smoke that they could see up river was likely the group of veterans that they sought. He set the anchor and they had to wait for favorable tide to cross the sand bar. While they waited for the proper conditions, Mattia sought out the captain for tales of this very coast and the voyages of Hanno, the explorer. He'd told the stories to her before, but she did not tire of the telling, nor he of amusing his pretty, young queen. She sat on coiled hemp rope as he stood at the tiller. "It was hundreds of years ago, before civilization ever touched these shores that Hanno and his fleet passed the Pillars of Hercules (Gibraltar) and sailed south. Hanno was an admiral of Carthage and he came in force with forty or fifty ships. Maybe even more than that. They were great in number. As they came south, some people they met were hostile and others were not, but there were pirate estuaries that had been preying on ships for a long time. 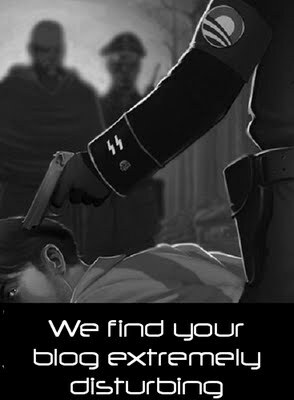 Hanno killed them all with his superior numbers and made the area safe." "Are there pirates here now?" "Mattia, there are always pirates where there is no Rome or Carthage to keep the peace and we are beyond the easy reach of the Glory of Rome." He cleared his throat and drank from a skin of wine, recalling the story before continuing. "During the voyage, Hanno's fleet was swept into the great ocean and they found islands (The Canary Islands) which were populated with savage people, all covered with thick hair. Hanno's men captured several of them, killed them and skinned them. They salted the skins for the trip back to Carthage. Once home, the skins were tanned and put on display at the temple of Tannit. They named the people Gorillai." "I hope we don't find Gorillai here." "There is no telling, but Hanno recounts how strong and savage that they were." He handed Mattia his wine skin and she drank. "There are other legends of intrepid explorers who traded with people for gold on this coastline, and those legends brought more people who lusted for gold. I can not say what they found." Even with oars out and moving vigorously, the soldiers and sailors pulling together, they couldn't cross the bar for two days. 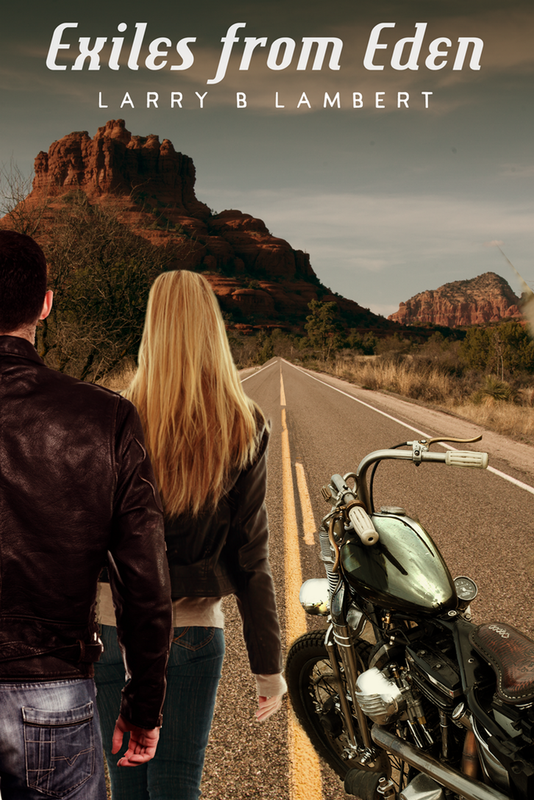 The smoke remained not three miles distant, and it drove Mattia insane with longing. Finally, a breeze from the sea, a friendly tide and extra effort from all on the long sweeps and over they went into the fresh water estuary. The river wound through swampy banks and a sailor sitting on the sail's crossbar told them what lay ahead. When he sighted the masts of three ships, Mattia cheered as did the soldiers pulling the sweeps, and propelling the ship forward. The captain had a more circumspect approach and ordered them to pull to the bank by dry land and send scouts forward to ascertain the precise nature of the camp in front of them. The soldiers cast lots and the four losers jumped down on the unfamiliar shore. Mattia put on her silver necklace, her silver hair net and slipped her favorite gold rings onto her fingers. She brought a special dress to wear for Quintus and Cornelia helped her put it on. The limestone knolls and cliffs of the Thirteenth Colony of Mauritania have been explored as thoroughly as they can be given the need for the legionnaires to remain within three days march of the fortress. A number of rivers feed into a brackish lagoon, inland from the sea, but with a shallow outlet to the ocean (Laayoune-Boujdour-Sakia El Hamra, Tarfaya Province, Morocco). The lagoon is to their south, and has expanded their capacity to fish and collect bird's eggs on the shore. The food supply, once in peril, now seems to be more manageable. Old dwellings by the edge of the lagoon suggest that the area was once home to a small colony of Phoenicians, but they are long gone. Indigenous people live on the far side of the lagoon, but to date, they appear to be small in number and give the legionnaires a wide berth. Jackals and lions roam the dunes and savannah between water sources as do wild asses, elephants, and various species of antelopes. The legionnaires march in rough formation for self protection from predators. Quintus leads them as he has been, with Seleucus at his side. Four dark skinned men break out from an outcropping and run down a river wash into a narrow canyon. Quintus shouted "Trap!" He looked at Seleucus, who pointed up to the top of one side of the canyon and Quintus nodded his agreement. The fifteen legionnaires climbed in ranks of three shields, navigating a crude trail that they found. Once at the top they faced a dozen men with crude spears who threw them. The experienced soldiers knocked them away and advanced, spreading out. The trap had been reversed and there was nowhere for them to go. The slaughter was quick with one of their number spared for Seleucus to torture for information. An equal number of dark skinned men on the other side of the narrow canyon fled. The legionnaires gave begrudged respect to Quintus, who was young enough to be their son, but wise enough to spot a trap when he saw one. They searched the dead and found gold Phoenician coins in pouches that they carried. Seleucus held one of the coins in front of the terrified captive and he asked him in the language of Carthage, where more could be found. Historical note: The Roman Army met success primarily by use of combined arms. The bones of the army was the infantry, supported by archery (light artillery) and siege artillery. Most of the cavalry that the army used was comprised of foreign horsemen, fighting for Rome under the command of Roman officers. Engineering took form with everything that the army did. At night, it assembled stockades, brought on mules as part of the baggage train. Organization, discipline, and a reliable pay structure insured that the system worked. In a battle setting, these elements came together. Opening Battle Scene from Gladiator. From a historical perspective the conquest of the Germanic tribes by Emperor Marcus Aurelius is roughly fifty-five years in the future for Quintus and Mattia.